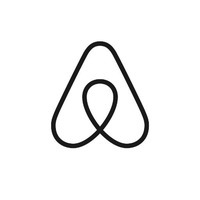 Director of Design @Airbnb. Formerly Uber, Google, Adobe. Also throw pots and keep bees. Reluctant tweeter, eager reader. Currently VP of Design at Lyft. Most recently, Director of Experience Design at Airbnb. Author of non-cascading style sheets. Building @Modulz. Previously @marvelapp @plexiapp. Ex-poker pro. Design Lead, @Shopify. Co-host of @LayoutFM podcast. Organizer of the @MTLDesignClub. Product Design @Tradecraft | Curious about people and ecosystems. Into current events, travel, and art. WARNING: Prone to being overactive on Twitter! sr. product designer @PostlightStudio. student for life. Head of Design @soundcloud / Previously lead design @bitly, Founder @carbonads. Visual Designer @ibm_ix previously @Gilt. Husband, rose gardener, kawaii future bass listener, pixel pushing in the age of retina. Views expressed are my own. Product Manager @facebook. Previously @pinterest, @tellapart, @google, @hbs, @nyu. "I'm a hustler baby. I just want you to know, it ain't where I been but..."
Your hardest working friend in the design business. The people's INTJ. Senior Product Designer @SlackHQ. @designerfund Bridge, @Squarespace, & @LinkedIn alum.